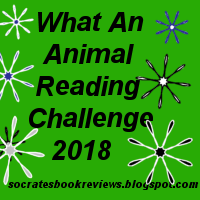 Welcome to the 2018 What an Animal Reading Challenge. I began hosting this challenge in 2010, when I took it over from Kristi at Passion for the Page. I love reading books that feature animals and am going to host this one again. I hope you will join me. I am signing up for level 1 with the hope I will go into level 2. I am going to go for level 3. I am going to sign up for level 4 since I am pretty sure I hit that this year without even trying. thanks to host this challenge!! I'm going to try level 2 this year. I just found this but found a list of them to include. I made a post under the Goodreads group for this, level 4. Will be sure to join for 2019!